From a design standpoint, I like it, especially the interior. However the seats are rather hard and the automatic transmission is rather slow to shift. That said I keep trying to hit the clutch pedal and I’m not used to an automatic transmission so for all I know this is how all automatic transmissions are like. 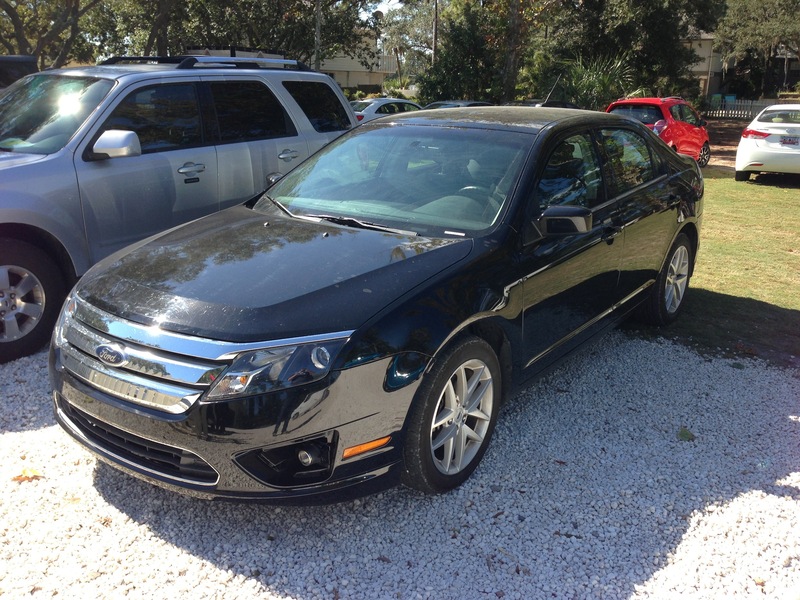 This entry was posted in Automotive, Travel and tagged Ford, Ford Fusion, travel, Tybee Island. Bookmark the permalink. haha, any auto is going to feel slow shifting when all your use to is driving with a clutch. Especially a Viper.